Just in time for Summertime!! Welcome to 96 Blackgum Street!! Fabulous 3 Bedroom, 2 Bath with ALL of the amenities that you could ask for!! 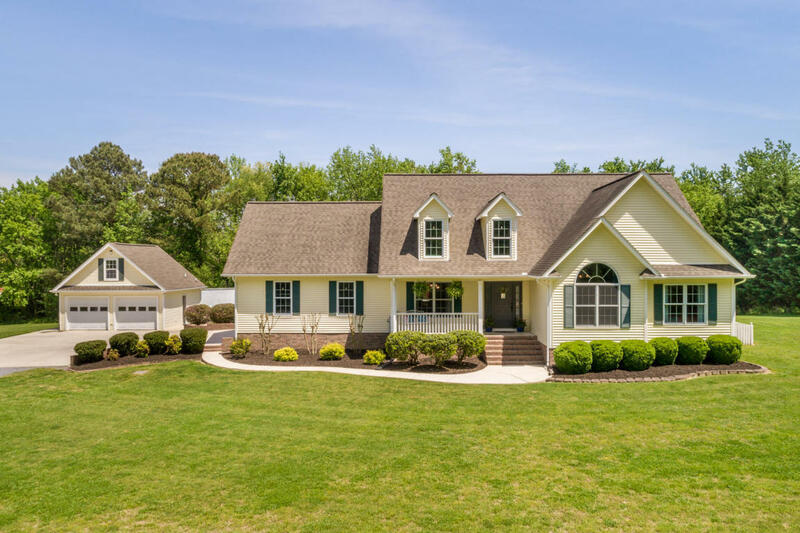 Enjoy those hot days out by the inground pool that is a beauty to behold from the living room and kitchen area windows and has its very own privacy fence. Concrete surrounding to lounge and entertain. The master bedroom is a beauty with the master bath having a jetted tub and separate shower. Guest bedrooms have vaulted ceiling and plenty of closet space. The floor plan of this home has NO wasted space. Storage galore! 2nd level has playroom, office and lots more storage area. Not only does this home have a 2 car attached garage, it also has a 2 car detached garage as well that is perfectly situated with a bathroom just steps from the pool.